Cenobite Group 8" x 10"
"Cenobites. Explorers in the further regions of Experience. Angels to some, Demons to others." 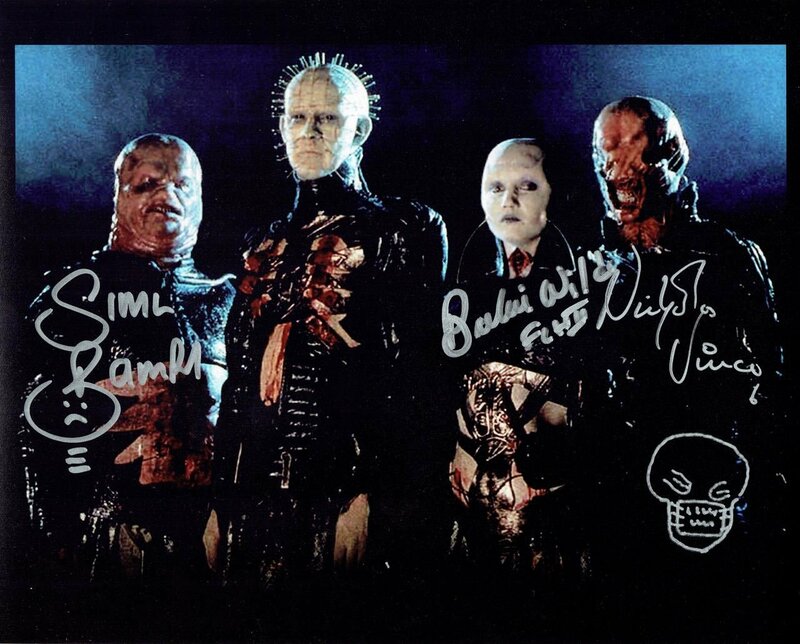 Taken on the set of Hellbound: Hellraiser II, this print is pre-signed by Simon Bamford (Butterball), Barbie Wilde (Female Cenobite) and Nick Vince (Chatterer). Doug will add his autograph and your dedication, should you require one (default dedication is "We have such sights to show you. "), and the money is divided equally between, Doug, Simon, Barbie and Nick.